PORTAGE/MADISON – Patricia L. Carney, age 67, died on Thursday, January 26, 2012, at Meriter Hospital in Madison. Patricia was born on February 3, 1944 in Portage, the daughter of Kenneth G. and Geneva (Nelson) Carney. She graduated from Portage High School in 1962, and from Madison Business College. Patricia was an amazing writer and loved to read. She was a member of the Portage Presbyterian Church. She is survived by her daughter, Pamela (Brad) Petersen, Portage; her brother, Tim Carney, Wesley Chapel, Florida; her nephews and nieces, Kyle Carney, Jefferson, Ryan Carney, Kenosha, Chad (Julie-ann) Carney, Collierville, TN, Christa (Michael) Leonard, San Jose, CA, and Mary Jane (Gordon) Brown, Tampa, FL; her aunt, Nona Merklein, Portage; her uncle, Marvin Carney, Portage; many great nieces, cousins and close friends. Patricia was preceded in death by her parents, her daughter, Jenifer, and her brothers, Bill and Mark Carney. 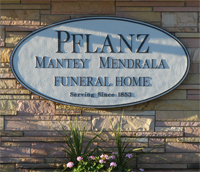 Memorial services will be held at 3:00 p.m. on Monday, January 30, 2012 at the Portage Presbyterian Church, 118 W. Pleasant St., Portage, WI, with the Rev. David Hankins officiating. Inurnment will be private in Silver Lake Cemetery. Visitation will be from 2:00 p.m. until 3:00 p.m. on Monday at the Portage Presbyterian Church. The family would like to extend special thanks to Dr. Michael Goldrosen, the nurses and doctors at Meriter Hospital.